The function of the Athens Metro is characterized by the following contradiction: it is simultaneously one of the oldest and one of the most recent means of transportation in the city. Indeed, with the import of the electro-motion in Greece in 1904, the steam-driven railroad that covered the route Piraeus-Thisio during the prior 45 years became one of the first European Metro rails. After sequential expansions, the current Line 1 of the Attiko Metro reached Kifisia, in 1957, while in 1976 the Greek government created I.S.A.P. (Αthens Piraeus Electric Railways) – after the abolition of E.I.S. (Hellenic Electric Railways), which had taken over the operation of the electric railways since 1925. 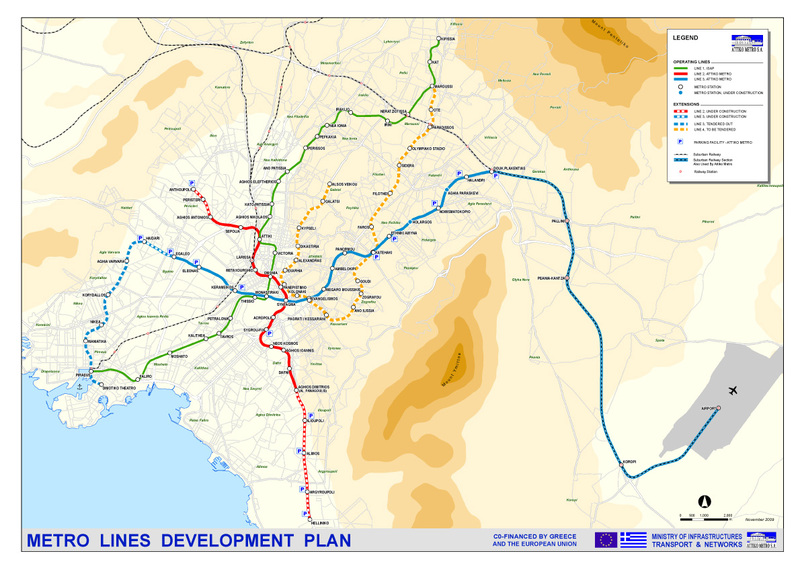 We had to reach the dawn of 21st Century for the completion of the huge and complex project of constructing the Attiko Metro (considering the age and the cultural history of Athens). Given the worsening traffic conditions in the streets of Athens and the accelerated coverage of distances that the Metro offers, the Athenian public soon showed its trust in this mode of transportation.